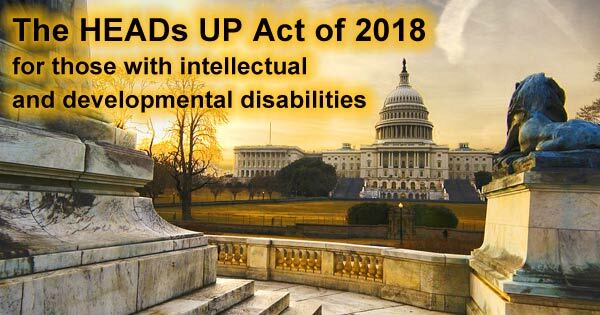 What is the HEADs UP Act of 2018 for people with disabilities? 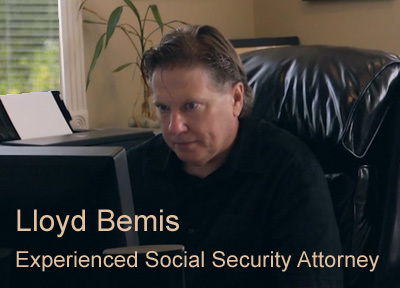 People with intellectual and developmental disabilities (IDD) face many challenges when attempting to live independently. The Head’s up Act of 2018 would open up over 25 government programs within the Health Services and Resources Administration and other federal agencies for participation by people with intellectual and developmental disabilities. It has been found that people with IDD participate more in their communities when not burdened by poor health, but accessing proper healthcare and the resources needed to change conditions affecting their health is often difficult. In the past, people with intellectual difficulties were often institutionalized and received all their healthcare in private or state-operated facilities. Research shows that today people with intellectual and developmental disabilities have a hard time finding competent medical providers, have a higher rate of chronic conditions such as cardiovascular disease, and are less likely to receive routine health screenings. Cost of healthcare and dental care. Because of these barriers to healthcare resources and primary care, illnesses and health issues are often not addressed until they require extensive and expensive care. Progress on this issue has been slow resulting in a gap between the healthcare needs of people with IDD and the care they are able to access. This month, to coincide with the 50th anniversary of the Americans with Disabilities Act, Representative Seth Moulton of Massachusetts and Representative Greg Harper of Mississippi introduced a new bill to designate people with IDD as a Medically Underserved Population, or MUP. Known as the HEADs Up Act of 2018 (Healthcare Extension and Accessibility for Developmentally Disabled and Underserved Populations), this bill would open up over 25 government programs within the Health Services and Resources Administration and other federal agencies for participation by people with IDD. The MUP designation was originally created in 1996 to identify areas with too few primary care providers, high infant mortality, high poverty or a high elderly population. The Department of Health and Human Services defines the “underserved” as communities that include members of minority populations or individuals who have experienced health disparities. Even though there is evidence to qualify people with IDD as an MUP, they have not been designated until now, partly because this population is not localized into a particular area of the country. National Council on Disability Chairman Neil Romano praised HEADs Up.